New Light On The Horizon For Software Patent Portfolios? Last week, in McRO, Inc. v. Bandai Namco Games America, (slip op. 15-1080) the Federal Circuit reversed a district court’s ruling that patents for lip-sync animation software were invalid for claiming merely an abstract idea. The reversal may give a boost to the value of software patent portfolios, especially those that include claims reflecting “an improved technical result in conventional industry practice.” (p. 27). In 2014, the U.S. Supreme Court decided the case of Alice Corp. v. CLS Bank International, 134 S. Ct. 2347, 2355 (2014), and raised the bar on getting valid software patents. The Court applied a two-part test first enunciated in the case of Mayo Collaborative Services v. Prometheus Laboratories, 132 S. Ct. 1289, 1293 (2012) to determine whether a software patent claim falls into the category of an “abstract idea” and is therefore not eligible to be patented. First, the court is to determine whether the patent claims are directed toward an abstract idea. If the answer to this first inquiry is “no,” then the patent claim is eligible for patenting, and then, as with all inventions, the claims must be reviewed for whether the claimed invention is both novel (new) and not obvious from the prior art. If, however, the answer to the first prong of the test is “yes,” and the idea is directed toward a law of nature, natural phenomenon or abstract idea, then an additional threshold must be met, namely, that there must be “an inventive concept – – i.e., an element or combination of elements that is sufficient to ensure that the patent and practice amounts to significantly more than a patent upon the ineligible concept itself.” Mayo, 132 S. Ct. at 1292. The patent in the recent McRO case related to animation technology used by many videogame and other computer-based entertainment companies who were sued for patent infringement by the owner of the McRO patent. 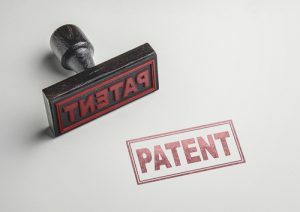 In reversing the District Court and finding for the patent owner, significantly, the Federal Circuit result and reasoning resembles pre-Alice jurisprudence and, arguably, an attempt to lower the bar for determining what is eligible for patentability. The Court found that sufficiently detailed claims like those in the McRO patent are not merely abstract ideas or laws of nature. The defendants rigorously argued (1) that steps of the patent claim were merely an automation of tasks that could be manually performed, (2)that the steps involved well-known rules of animation, and (3) that the rules in the patent claims were expressed so broadly as to preempt any animators from using computers to generate lip movements of animated, three dimensional characters. The foregoing three types of arguments have been successfully used by defendants accused of infringing software-related patents in other cases. What is potentially heartening for software patent holders is that the Federal Circuit, from the above analysis, concluded that the claimed method of automatically animating lip synchronization was itself not an abstract idea, and cautioned against generalizing claims into abstract ideas. Thus, the Court held that it was unnecessary to go beyond the first step of the Alice test. In other words, many cases post-Alice have readily found claims to be directed to “abstract ideas,” and then proceeded to invalidate them by finding the claims lacking “significantly more” under the second prong of Alice; however, the Federal Circuit in McRO declined to let the claims pass the first prong, finding them non-abstract, and sufficiently concrete to avoid further inquiry under Alice at all. Lastly, it should be noted that the Court relied heavily on the technical aspects of the software invention, which were not directed to so-called business methods, but rather to improvements of a particular technological industry, that is, computer animation. Given the expressed skepticism of at least two Supreme Court justices toward the patentability of business methods, software patent holders may wish to reduce risks of patents being invalidated as “abstract” by expressing software inventions in terms of “technical effects” or improvements to technological processes, rather than as methods of doing business.